CONCEPT TO REALITY - ONLY TOOK 13 YEARS! 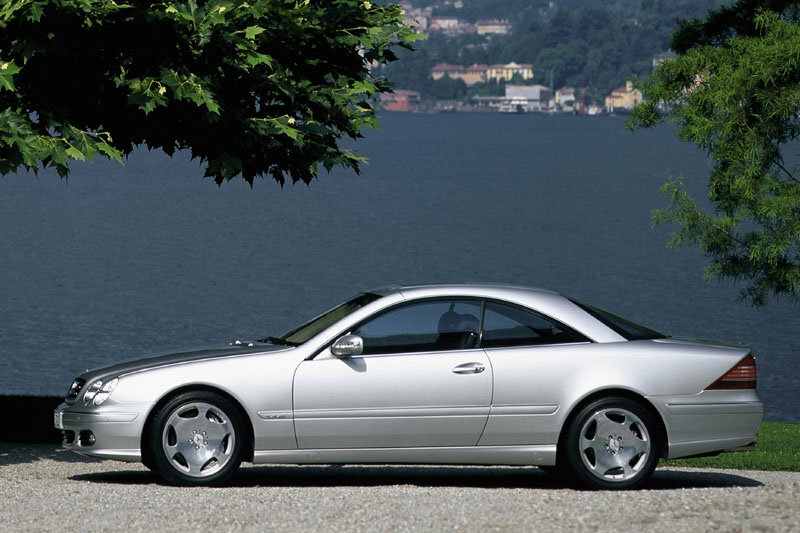 Back in 1997 a young Aussie car designer called Peter Arcadipane pushed a concept sketch to his then employer, Mercedes-Benz, for a coupe-sedan version of the CL coupe, to be badged the CLS. 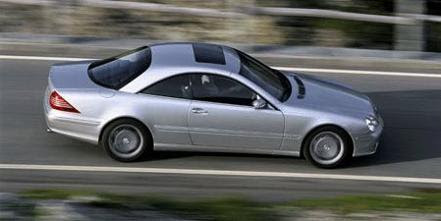 The management thought it was a bit radical, but then it took the brave step of greenlighting the car for production - after all Peter had designed original CL coupe. 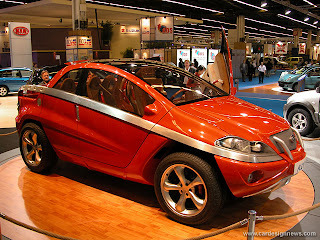 Just three years later I'm told, Peter came up with another concept, which, although it went right through to what the car industry calls a 'see-through' model, it never made it into production. The significance of the development to the 'see-through' model stage needs an explanation. 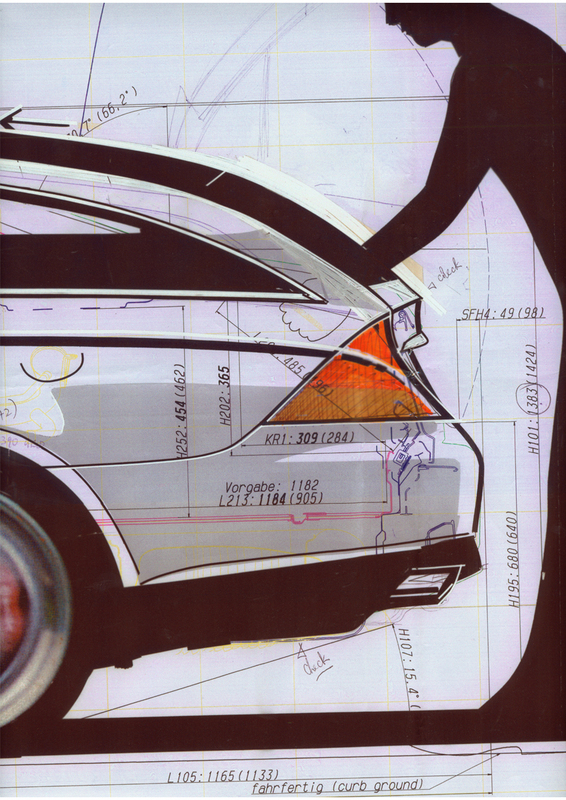 In the car design business the first concept sketch is often ignored. It's not seen as being important. 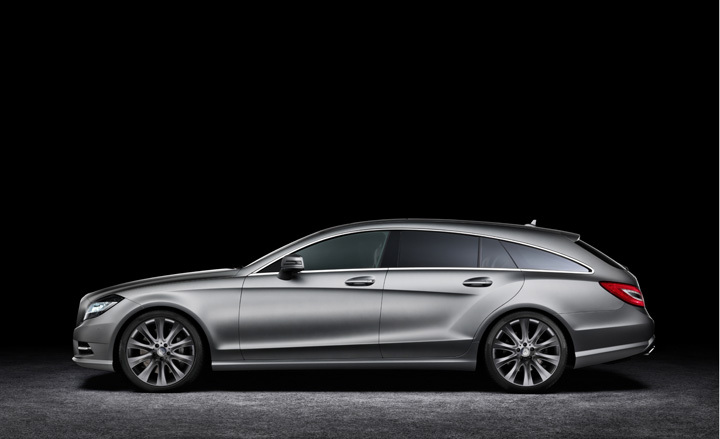 What was important with the CLS coupe-sedan concept - is that it went through all the processes of the system, from an initial sketch; then tape drawings; to a 'clay' model and finally to a full-size model which you can 'see right through' giving the viewer an accurate idea of how the car will look, full-size. That last step is an important one for the car maker, as it's very costly, but almost guarantees the model is headed for volume production. 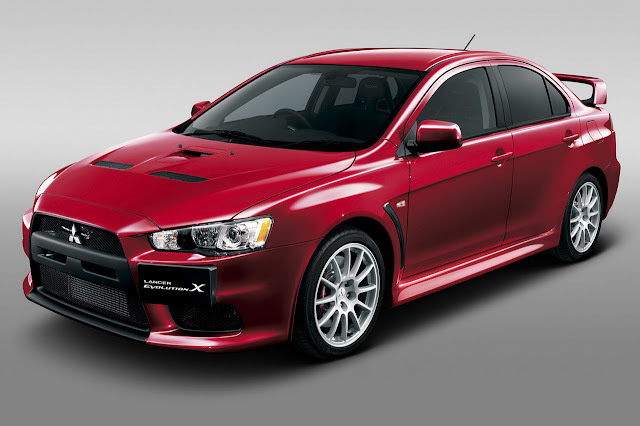 This is the final and very important stage because, from a distance, the results look just like a real car. See-through models are hard models - either made from a light (almost balsa-like) plywood, or fibreglass/carbon fibre. They have a fake interior-- which removes all the mass and weight, that the clay model presents. 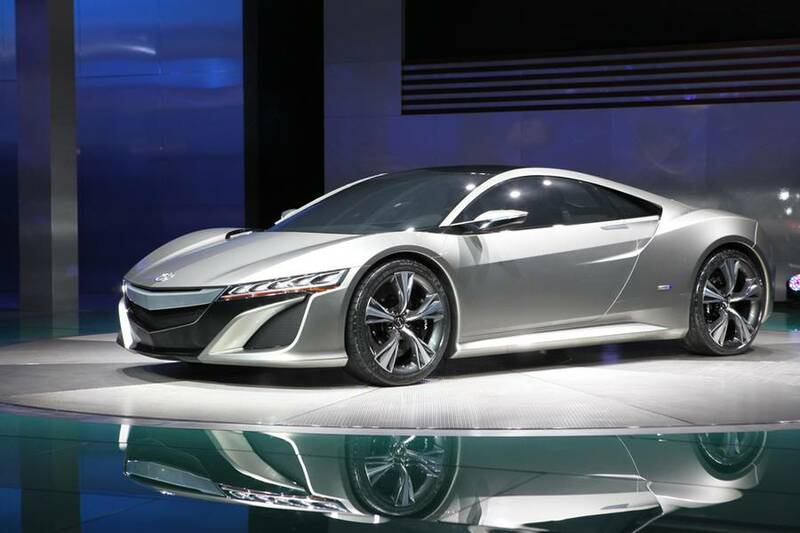 They also have a much better painted finish, that the clay model lacks, but can cost upwards of a million bucks! Peter and I first crossed paths back in 1973 when I was the Editor of MODERN MOTOR magazine and he was a budding young designer with Ford Australia. We spent many hours both in my Sydney office, and in various coffee bars in Melbourne talking about car design and the possibilities. Even at that time his somewhat radical ideas for Ford's then-current range got turned down by management, but it didn't deter him. Peter's great skill was something that years later turned out to be much needed - he was an expert at conceiving NEW designs off existing platforms - thereby avoiding unecessary investment in developing all-new cars! Then in 1981, when I was PR Director for Jaguar in Australia, he even presented me with a fantastic concept to turn the Jaguar XJ-S coupe into a hatchback, almost like the E-type! 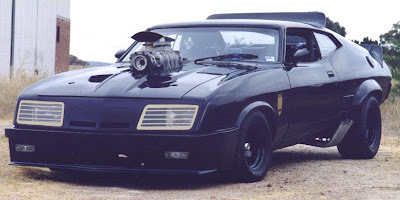 Of course, the Jaguar design team in Coventry sniffed at the idea, but in the meantime Peter had won a place in the movie Hall of Fame by producing the car which garnered global fame, the 'Mad Max' special - built off a standard Falcon coupe platform! Peter Arcadipane, I must say, was/is(?) a bit of a rebel. He clashed many times with senior design staff at various car companies, pushing his 'crazy' ideas, but here was a guy who really did think outside the square - every time. I really admire his originality, his thorough thought processes, which worked around the financial advantage of preserving the basic platform and putting a new 'top hat' on it. That's not to say he only thought about extending the life of existing models. He led the design team on the innovative Kia KCV II, shown in Paris in 2002. Peter has worked at Peugeot, Mitsubishi, Ford, Kia, Stola and a number of other companies, developing interesting, all-new cars, like the stunning Evolution X for Mitsubishi, but I believe he wrote his name in the automotive history book when he produced the smooth CL coupe for Mercedes-Benz. Serious designers around the world stood back and took a deep breath when it debuted. So, rewind to the start of this Post. In 2000, Peter presented a design sketch and tape drawings for a 'Shooting Brake' version of the CLS to the Mercedes-Benz design management (that's a station wagon to you and me). They liked it, and it too went the full distance, from sketch to 'see-through'. However, management was super-cautious about such a radical model, so it went on the back burner. To the basement of the design studio actually! The whole box and dice was moved to the basement - not just the concept sketches, but the tape drawings, the full-size clay AND the see-through model! Guess what? Thirteen years later (after scouring the collection of deferred designs in the basement!) it's made it to the market. Mercedes-Benz finally made the decision that this was a variant which could make money! So here it is - at last! Now, that's some gestation period. Recently Peter Arcadipane was appointed Head Designer at China's BAIC, with a brief to completely overturn the current model catalogue and thrust the company into global recognition, with models which compete in EVERY worthwhile segment, including territory currently occupied by Audi, Benz and BMW! What a juicy job for an innovative designer! I wish him luck with this daunting challenge, and trust that having headhunted him, the BAIC management back his judgment. 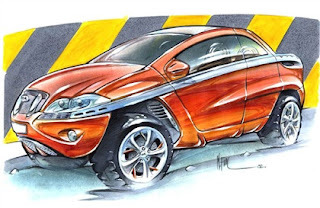 Few car designers have enjoyed the breadth of experience, and the challenges of competing in a variety of segments which Peter Arcadipane has racked up, and I think his new post is a fitting reward for someone who has given us many memorable cars. From the Mad Max madness and the Mercedes Benz CL and CLS - not forgetting the Shooting Brake of course! Just 13 years after he presented the concept sketches! Europe chronograph watches are generally were once the best solutions across the globe. Chronographs calculate time in various solutions, so an outstanding quality you could be generally very expensive. They come with the usual time maintaining the important switch to the watch threaten, in companion, they come high quality Replica Breitling Watches with added knobs who usage various bathroom machines, this particular allows it to be put into use for very distinct measurements of this time. Diverse concepts of chronographs pick up various variety of dials. He or she can get in the region of four knobs, and all dial contains a unique intention. The commonest IWC replica watches is replica Louis vuitton handbags likely to be in the midst of the important confront, close range ten. Here will cheap fake Breitling watches be constant a cheap replica Prada bags few moments dial. Perhaps you should do some research to get the facts straight, John. The original CLS was not the work of Peter Arcadipane, nor was his sketch or tape drawing chosen for the 'see through' model. If Peter told you this, then he is clearly trying to take the credit for another designers work.